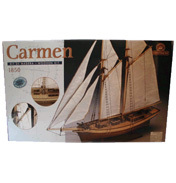 Building and sailing your own boats has never been as easy as it is with these kits. 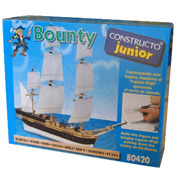 The Constructo Junior sets are designed for children of 10 years and over and include everything you need to build some of the most famous vessels in history. The Endeavour was built and launched in Whitby, North Yorkshire in 1764. It was the ship that was captained by James Cook on his voyage of discovery to Australia and New Zealand. 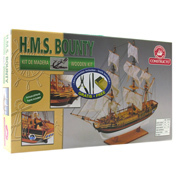 Or perhaps you can build your own model of the HMS Bounty, but be careful, you don’t want a mutiny on your hands! 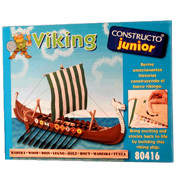 Construct these kits following the instructions provided and then you can set sail. The more advanced Constructo kits will build larger scaled models that have more detail. Are you brave enough to see if they will sink or float? The safer option would be for them to sit on a shelf showing off your handy work! The Thunderflash set consists of a plastic moulding that can be made into a remote control boat using the equipment that is used in motorised cars. A boat you can sail and control without getting wet – sounds perfect! 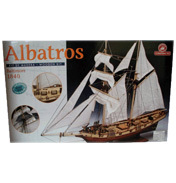 These beautiful kits are ideal as a gift to a child or to a person with a passion for model making, as some are easy enough for children to do whilst others are more challenging for the more experienced builder.